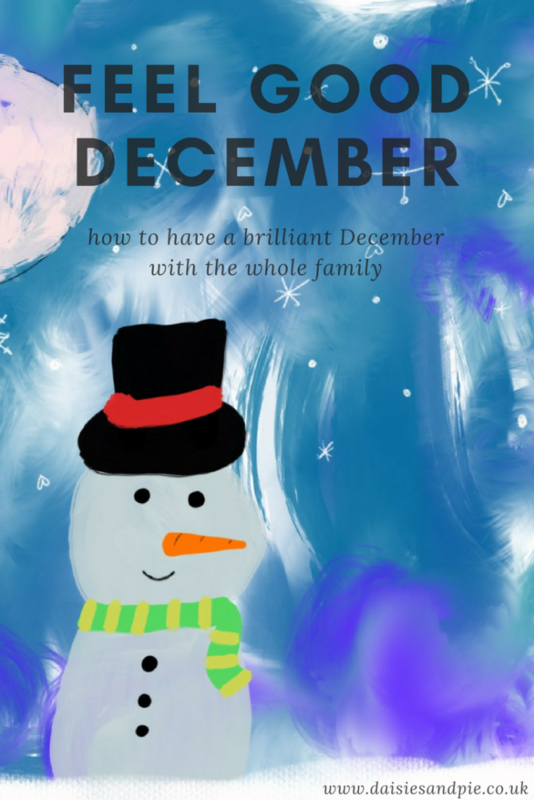 It’s freezing cold, blowing a gale and pouring with rain, but we’ve got 31 ways to have a totally feel good festive December. Everything feels much more manageable and less stress if you plan ahead and spend time writing out a few lists so you can make sure you get everything done. Present lists, food lists and general things to do. Always makes me feel better ticking things off a list. Have a cosy night in, get the kids involved, play some festive music and snuggle up whilst writing your Christmas cards. Get them posted early to be sure they arrive in plenty of time. Treat the family to a trip to the cafe for festive drinks and cake…. or cook up a festive coffee shop style treat at home – you might love our festive rocky roads and salted caramel hot chocolate recipes. 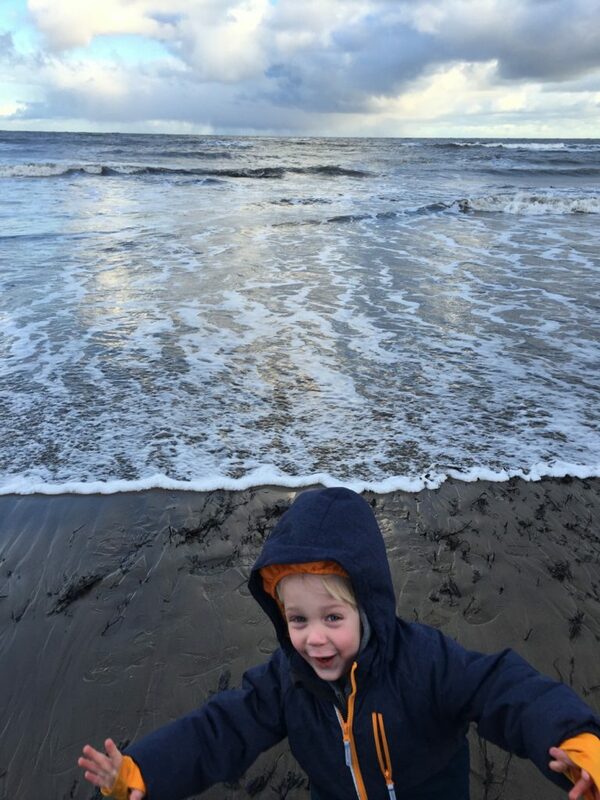 Head to the coast for a blast of fresh air and winter beach fun. Wrap up warm and take a flask and run fast from the waves! Lot’s of kids just won’t get anything for Christmas this year so it’s always a nice thing to buy an extra gift, there’s lots of places running schemes for getting toys to the kids who really need them. Well… when I say make, obviously I mean the easy ones, get the kids busy in the kitchen with a pack of ready rolled pastry, jar of mincemeat – 30 minutes later and you’ll have freshly baked mince pies. Add a cup of coffee for a lovely festive elevenses time. Go through the kids toys with them and get rid of anything no longer wanted or needed. You’ll be needing room for the new stuff so a pre-Christmas clear out is always a good thing – I usually drop a box of unwanted toys at the charity shop every December. 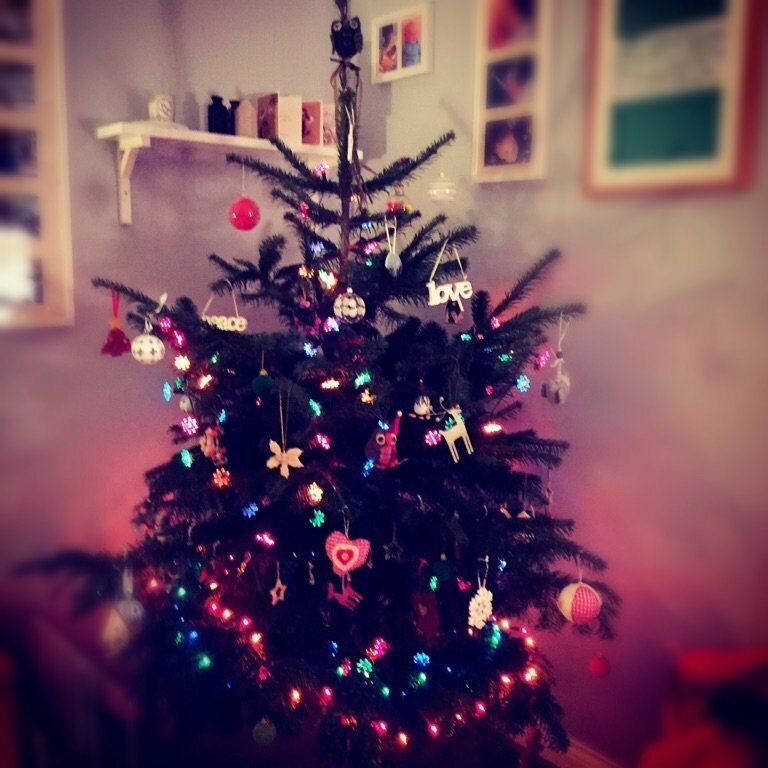 Put aside an afternoon to get together and decorate the Christmas tree and house ready for Christmas. You’ll need Christmas music and we always do Christmas party food to celebrate the occasion! Cook up a pan of sweet, delicious truffles. you could make them as presents or you could just make them and eat them, your call…. 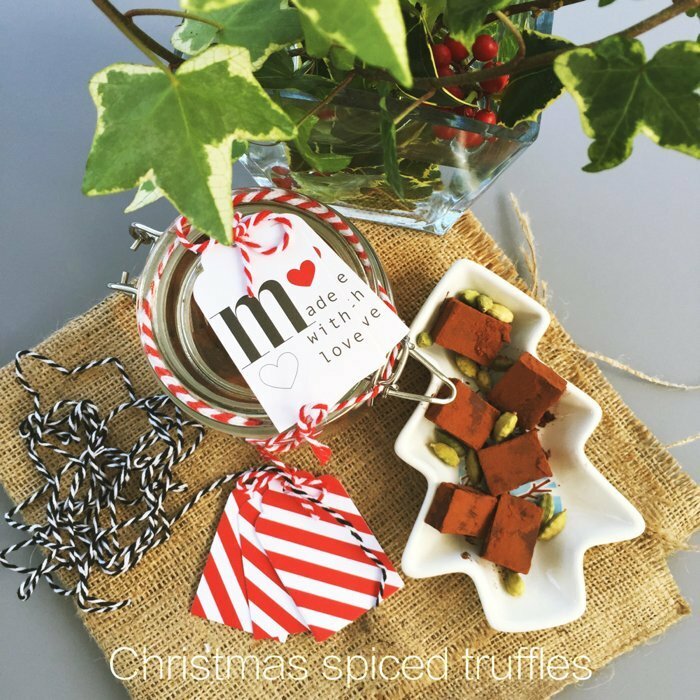 Get our Christmas Spiced Truffles recipe here. Always room in your life to be kind. If you’ve been putting off something for a while now… you know the type of thing – moving some old stuff into the loft, fixing the dripping tap, mending the fence… get it done. Pick one thing and do it! 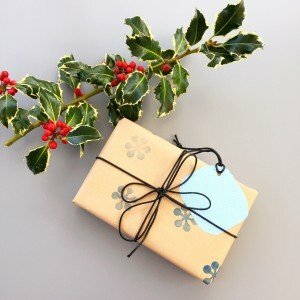 Personalise your wrapping paper and make simple printed, stylish wrap. 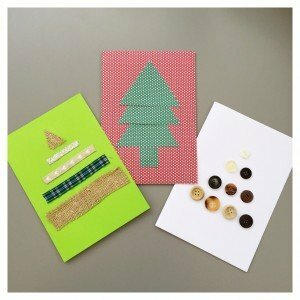 This is a great festive craft for kids to get involved with. Full instructions for festive wrapping paper here. Get the kids outside in the garden and plant up pots of spring bulbs now and they’ll be bursting into flower come the first signs of spring and they’ll look lovely by the front door. Kids love snuggling up in a little den or nook with a good book. You can put together a reading nook in just a few minutes, probably with things you have lying around the house already. 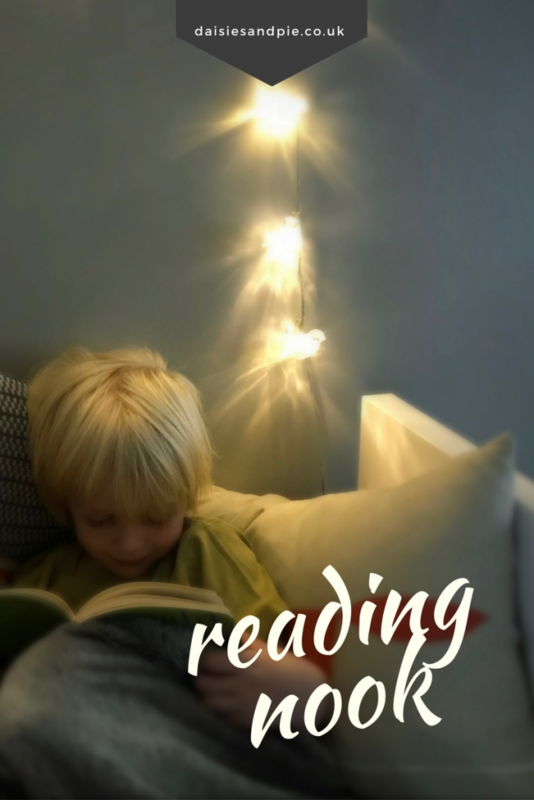 Check out our Create a Reading Nook post. Make time to go to a Christmas carol service or carols around the tree. Check out your local council or what’s on website to find out where your nearest service is. 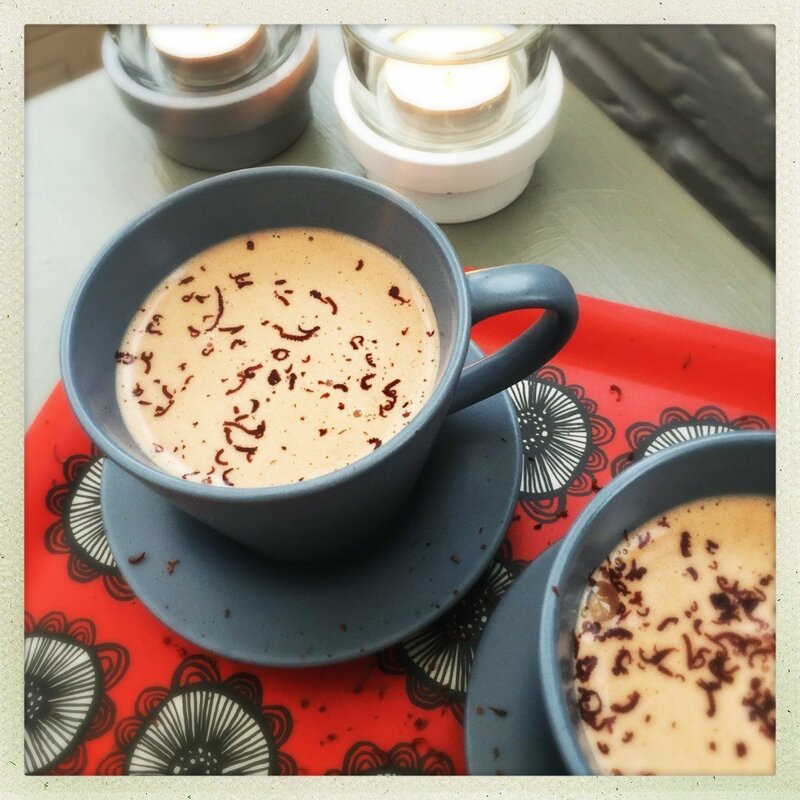 Perfect for warming up after a cold winter walk – grab the mulled wine recipe here. Have a lovely afternoon wrapping gifts and making them look pretty… you’ll probably need a supply of chocolate, mince pies and cups of tea to keep you going. Oh, my, goodness this is good. Little cups of deliciousness. You can get the peanut butter hot chocolate recipe here. Have a go at making your own holly wreath, you’ll need a wreath ring, some holly, ivy, ribbon and florist wire. Simply add the holly and ivy all around the wreath ring securing with florist wire and then add a big beautiful bow. Or… buy one and just smugly hang it, you can always pretend you made it, whatever makes you happy. Treat the kids to a festive film afternoon, yummy snacks, maybe these chocolate pretzels and a feast of Christmas films. Perfect snuggly day. Spend an afternoon with the kids doing a little Christmas crafting – maybe making some super simple Christmas cards for the special people in their life. I used to love making these as a little child and it’s something I like to still do every year. There’s something very satisfying about poking all the beautifully scented cloves into the oranges in lovely patterns. It’s relaxing and smells of Christmas. Get some fresh air, and get outdoors. Hats, scarves, gloves and big coats and enjoy! Leave Father Christmas his sherry and Rudolph his carrot then head off to bed and read the Night Before Christmas with the kids. Little traditions and all that. Have a really happy Christmas day, enjoy it. Light some lanterns, string some fairy lights, fire up the wood burner for extra warmth and get the BBQ rocking. Spend the evening snuggled on the sofa by the fire. A glass (or mug) of something nice to hand and just enjoy the vibe. No fire? No worries, you can still get a good atmosphere with some nice big church candles and lanterns. 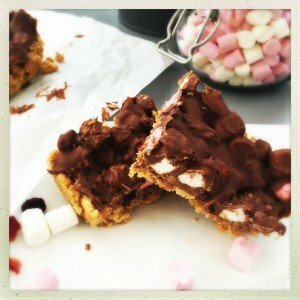 28 – rocky road anyone? Throw together a tray of rather festive rocky roads, we’re talking an irresistible combination of chocolate orange and cranberry… fluffy little marshmallows and a crunchy biscuit base. Bubble bath, glass of something fizzy, candles lit, snuggly pyjamas, good book. Whatever makes you feel good. Try out a new recipe or new food, something you’ve got your eye on cooking. Take time out and make it happen. Reminisce, tidy away Christmas, take part in the tradition of going out of the back door of the house a couple of minutes before midnight and bringing the New Year in through the front door on the strike of 12… don’t forget the coins and coal.